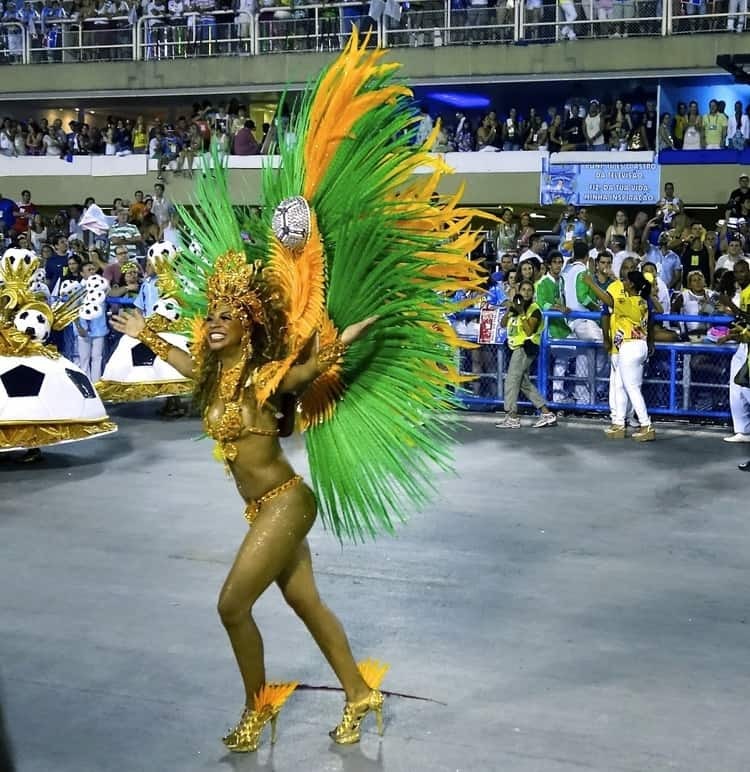 Join a gay group trip to Brazil and experience the ultimate bucket list event: Rio Carnival. Known as the greatest show on earth, the atmosphere and flamboyance are out of this world. You’ll be attending parties with limitless champagne, breakfasting under Christ The Redeemer and chilling on Copacabana Beach. This will be a once in a lifetime experience. In the evening we’ll have welcome cocktails and a hearty meal. Open bar so have your fill. We’ll head to Corcovado Mountain and have breakfast in the shadow of Christ The Redeemer. If you like you can attend the black-tie Copacabana Palace Magic Ball – a decadent Carnival pre-party at the Copacabana Palace Hotel. Today we’ll visit Feira de Artezanato de Ipanema (the “hippy market”). It’s a great spot to get a bit of local colour and do some shopping. After, you could take a stroll around the market plaza or head to Copacabana Beach. In the afternoon we’ll eat at a Brazilian restaurant with views of Sugar Loaf Mountain. Then, we’ll take a helicopter tour over the city. We’ll have a poolside carnival brunch after a leisurely morning. An unlimited supply of champagne will flow alongside a vast buffet serving oyster, caviar, salmon and slow-cooked lamb – even Marie Antoinette would blush! The dessert table will serve a variety of five cheesecakes – let them eat cake and wash it down with champagne. In the evening we’ll head to the greatest show on earth: Rio Carnival at the Sambadromo. Today we’ll explore the street carnivals, including the bustling Banda de Ipanema – it’s packed with drag queens and exceedingly camp. It’ll attract around 15,000 people. Drag performers from all over Brazil come to Rio for this event. In the evening you can head to one of the famous dance parties. Breakfast and hangover recovery. Then, you’ll be transferred to the airport for your return flight.